Efficiency in tax plans and transparent accounting forms the two pillars upon which the company and its business’s growth depend on upon. DNS Accountants has been elemental in helping businesses to manage their accounts effectively by providing the suitable type of tax plan fit for a company’s business. Having started in the year 2005, DNS Accountants has come a long way and has served nearly more than 1200 companies in building up their business. The clientele still keeps growing, and our services have been extended to all the business start-ups, entrepreneurs and small and medium-sized companies. Our expertise in the field has helped us to become established accountants in Camden and to help start-ups, small businesses, contractors and freelancers with their finance and accounts when they need it. Apart from Camden, we have also been catering to other cities like Wirral, Chester, Camden, Wimbledon, Woking, Colchester, York and Canary Wharf. DNS Accountants is well versed in all kinds of accounting and financing solutions. We are really proud of our professional team who are working with us to provide their services to the companies who are in need of financial help. Each individual on the team is qualified and has a splendid reputation in the field. These people have some of the highly reputed certifications from some of the prestigious accounting bodies like IPSE, ACCA, and CIMA. This support team has been instrumental in making us what we are today, and their insight about the field is worth mentioning. Saving up money at every turn and opportunity that the company is faced with is the motto of DNS Accountants. This is also one of the main reasons why we were able to become one of the best accountancy firms in Camden. Saving up money helps the company to plan its future by creating an efficient work schedule in the present. This kind of foresight from DNS Accountants keeps our client companies away from any sort of hassle that they might face when tax returns are not filed within the deadline. We save you from any form of penalty that the HMRC might impose if your tax plans are not accurate. An inner city district of London, Camden is one of the major 35 centers that were to be identified in London. What started out to be a residential town, Camden grew out to be a major center for the development of railways in the region. Now, the industrial aspect of the area and the economy has been taken over by the service sector companies like the retail markets, tourism, and entertainment. By the end of the 12th century, the entertainment business in Camden grew with the moving in of the Holiday inn into the area. What was once a long chain of restaurants and street markets on the streets of Camden; they have now been converted into individual shops and restaurants. The street markets in the Camden town are the favorite spot for all the tourists and has been the reason for the rise in the economy. This is also one of the reasons why most of the businesses have sought out to get the help from the accountants in Camden Town. Managing the profits and the expenses is required if the company is planning to maintain a proper record of its business. 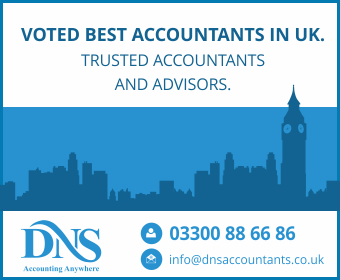 DNS Accountants become trusted advisors to the companies by reaching out to them and helping out as the expert accountants in Camden. By working along with the other accountancy firms in Camden, we are able to factor in all the needs of the companies when we plan out the tax returns. Each and every company needs a detailed tax plan and the proper guidance to draft one. If the company wishes to create an impact on the market, it is necessary to maintain its tax returns and come out with effective tax plans when required. DNS Accountants provides the best tax accountants in Camden by working in sync with the company’s management. One thing to note is that DNS believes in the balance of things, especially when it comes to the finance and tax returns. We help to create sync between the whole company’s financial reports and the finances of each individual. The tax advice that we provide to companies varies depending upon the type of business that is being carried out by the enterprise. Every company needs to have a proper bank account for their business. They must make sure that it does not mix along with the individual’s accounts. DNS Accountants helps in opening a new bank account for all our clients if they do not have one. This bank account acts as the lifeline for the company and the business. DNS helps by opening a bank account for the companies depending upon their business needs and the type of business that is being done. Businesses can contact the personnel team directly if they require assistance. Employee payroll needs to be in order if you do not wish to be confronted by the HMRC. Every company needs to pay their employees a salary after deducting the tax returns from the amount. It is considered to be a legal responsibility and DNS helps by keeping track of the salary amount and calculates the final payroll that needs to be let out. This way, there appears no hassle in the system. DNS Accountants makes sure to cover all the areas of accounting and finance. Apart from Camden, our accountants in Camden also serve companies in Harrow, Central London, Edgware, and Wembley. Through years of experience and service, we have achieved considerable success and still wish to reach out to more firms and businesses and help them with their accounting, financial and taxation requirements.